Another case report demonstrates the utility of dissociative-dose ketamine in the deteriorating asthmatic. Life-threatening asthma is uncommon and difficult to study; we may never have better evidence and it’s time to add ketamine to the kitchen sink. 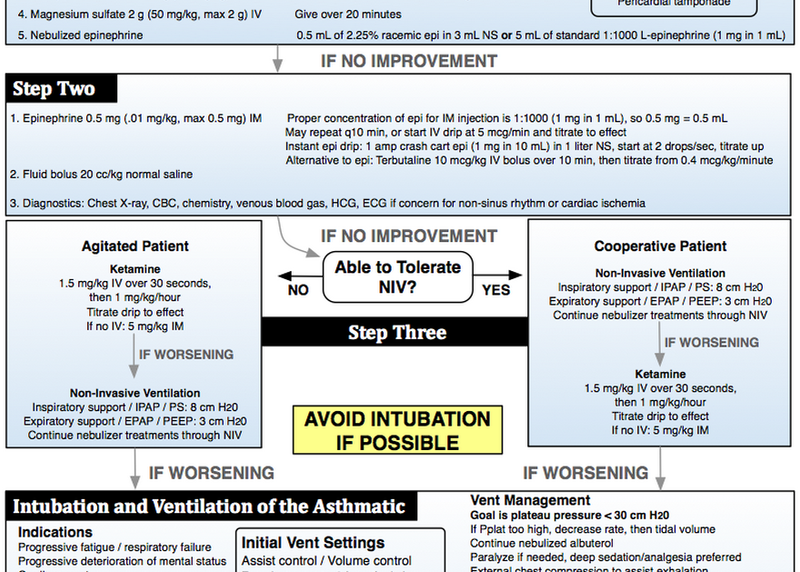 This flowsheet incorporates ketamine into a stepwise approach to the severe asthmatic for the emergency clinician who may not remember drip rates and vent settings when her own heart rate is 140. 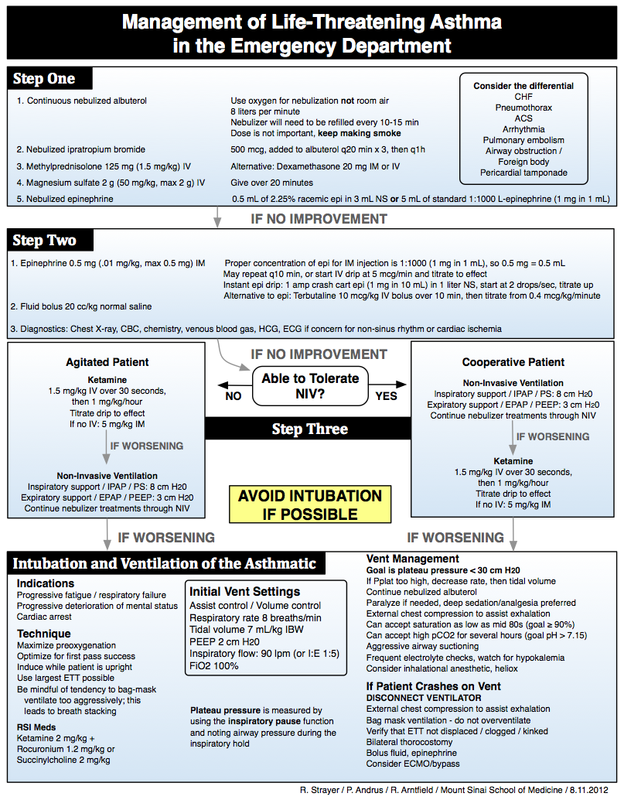 Regarding nebulized epinephrine: 1:1000 L-epi is 0.1% = 1 mg/ML, so 5 mL = 5 mg. 2.25% racemic epi = 22.5 mg racemic epi per mL = 11.25 mg L-epi (the active isomer) per mL, and we’re using 0.5 mL, which is 5.625 mg L-epi, so roughly the same dose.